Our first participation in the RAAPA – Moscow went in the best possible way. This was a first participation in the event but also the first time that some members of our sales team discovered the beautiful city of Moscow. This exhibition allowed us to introduce the CL Corp. universe to Muscovites but also to participants from all over the world who came to participate in the event. For this first participation we have decided to present and have our attractions Run The River and Dynamic Seat Theater tested on our stand. In addition, we had chosen, and for the first time also, to present our attractions in the form of a dynamic, animated and ultra-realistic model. We came back to France with a new experience and with new projects to be realized. 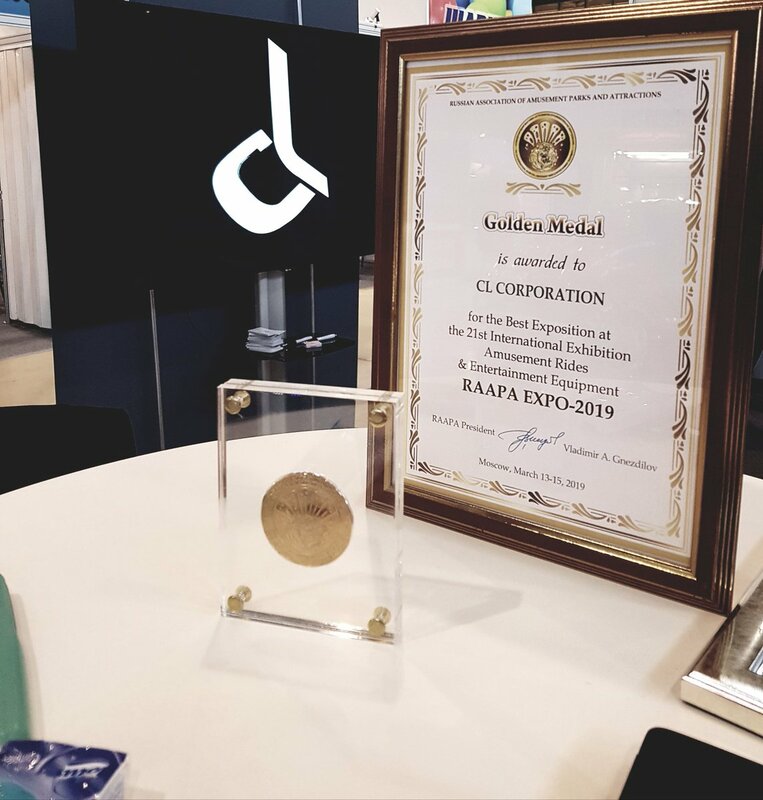 This « first » edition of the RAAPA was punctuated by the awarding of a prize for CL Corp, the best exhibition at the show. Next stop Dubai and the DEAL Show!